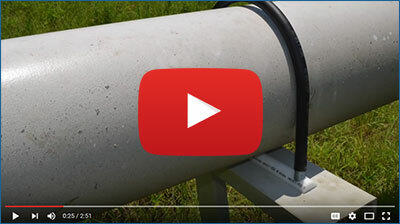 We have the FINAL answer to crevice corrosion at pipe supports! Conventional pipe support designs trap water, which soon leads to corrosion that can eventually cause pipe failure. I-ROD pipe supports provide an electrically isolated stand-off between the pipe and the supporting beam or saddle clamp are the only true protection against crevice corrosion. Our specialist access teams are self- sufficient and require ZERO in terms of facility support, cranes, scaffolding etc in performing the removal of and installation of the IROD Clamp. Our typical process is not only fast and efficient but SAFE. Corroded areas are also subject to NDT to determine the presence of crevice cracking and extent of material wall loss before any new clamp is installed. I-Rod has been installed many thousands of times worldwide since the 1980s! 100s of refineries and facilities are using I-ROD. Here’s a brief list! Honeywell Specialty Materials, Baton Rouge, LA. Honeywell Specialty Materials, Geismar, LA.